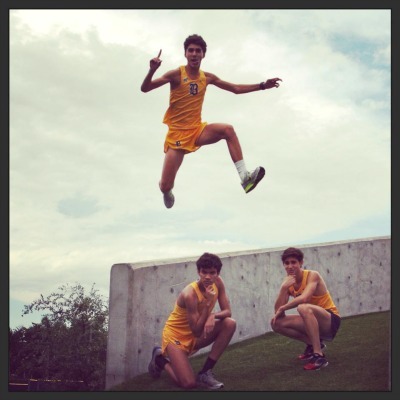 Belen Jesuit senior Fabian Tomas has been an instrumental part of the Wolverines four consecutive cross country state championships. He boasts personal bests of 4:25.49 for 1,600 meters, 9:27.31 for 3,200 meters, and 15:39.34 for 5,000 meters. With numbers like those and a winning pedigree, it is no surprise that Tomas will continue his running career at the next level. Recently, he announced he will be headed to the pacific northwest to run for the University of Portland. We caught up with him to talk about the recruiting process and his future plans in a Pilot's uniform. What was the recruiting process like for you? The recruiting process was definitely a roller coaster experience. Almost every week or so my mind was changing where I wanted to go and were I can truly see myself. My friends and coaches really helped me during this whole process so I knew that I'd always have someone by my side. Honestly though as stressful as it was, I was able to learn so much about some of the programs that I was interested in. It's really amazing to see how much history all of these programs have and continue to build upon year in and year out. I definitely am relieved that it's finally over. Now it's just time to focus on the real part of the season: districts, regionals and states. Why the decision to wait until after National Signing Day? I really wanted to take my time on the decision making process. There really isn't a need for rush. I didn't want to let National Signing Day or anything really push and pressure my decision. A college commitment isn't just a decision on where you're going to be running, it's a career path. I really wanted to make sure that I'd also be getting the best education I possibly could. These next four years ultimately decide your future and I really think that Portland is the best fit for both aspects of my life, running and academics wise. Where else did you consider? The other schools I really considered were Florida State, Butler, and Villanova. Why in the end did you choose the University of Portland? The second I left the Portland campus, I knew I'd want to spend the next four years of my life there. It's a beautiful campus which offers exactly what I wanted in a college athletically and academically. The team was extremely welcoming and the coaches where class-A guys with tons of experience. The trails that the team runs on are amazing. Knowing that you'd be running in an enchanted forest for all your workouts was definitely a plus, it's a major improvement over our concrete sidewalks in Miami. Also knowing you were going to a city and state where running is a huge sport was definitely appealing aswell. I just really felt comfortable there. 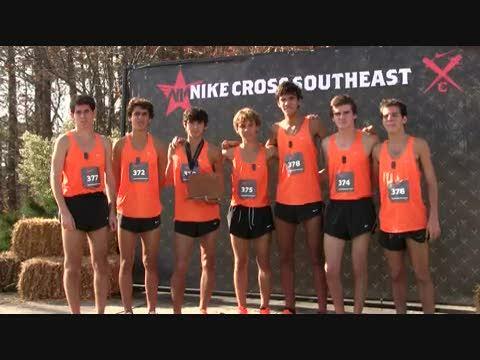 Going to NXN the last couple of years Portland is a place you are some what familiar with . Did you visit the school when you were up there? Nope not really, I hadn't really heard about the University of Portland being a powerhouse running school until probably last year. Being such a small school it doesn't really get the credit it deserves for being one of the best teams in the nation year in and year out. Noah Kemp from St. Augustine will also be headed to Portland in the fall. Have you had a chance to talk to him and what will it be like having another Florida runner join you in the pacific northwest? Noah was actually the one who convinced me into emailing the coach. I really got to meet him and become friends with him after the Cross Country Finals. I'm definitely excited to have another Floridian going all the way to the west coast with me. Noah and I are extremely alike running and personality wise. We'll definitely be pushing each other in the years to come. Hopefully this opens a lot of doors for future Floridans interested in being a part of the University of Portland's long line of tradition. 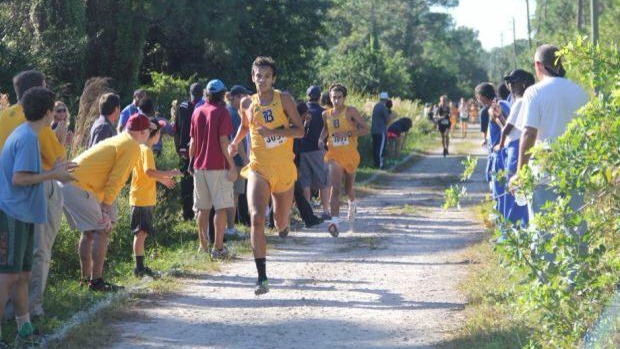 You are going from one successful program in Belen Jesuit to a Pilot's program that has also been one of the top distance programs year in and year out. What have you learned from your time at Belen and how has that prepared you for the next level? Being a part of Belen Jesuits running program has been a blessing and honor. Never in history has a Belen team won 4 in a row like our team did this year. 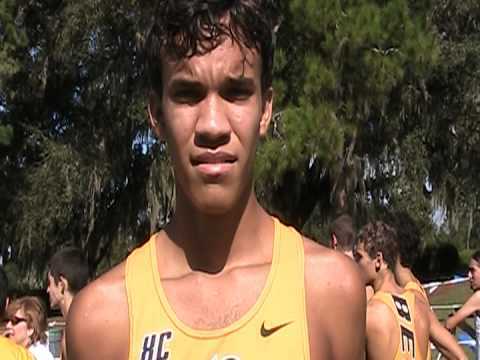 At my time at Belen, the coaches have set me up to succeed in whatever I set my mind out to do: on the course, on the track, and in the classroom. I owe the world to Frankie, Victor, Juan, Rene "Duck" Medina, and Barq who did whatever they could to help me become the man that I am today. Never losing faith in my running ability, teaching us that we are running for something greater than ourselves (The Greator Glory of God and past alumnus), keeping the team leveled and united, and ultimately putting up with us seniors for the past 4 years. I hate to say I will be graduating from this program, but knowing that I have be able to add on to the rich Belen distance running tradition is truly special. Hopefully and God willingly I will be able to add on to Portland's rich distance running tradition as well. What are your goals for the future and what are you looking forward to the most about putting on a Pilot's uniform? My goals for the future are to help out and contribute to this program whichever way possible. Whether that means being a top runner on the team or pushing the top runners from the sideline. I'm not just running for myself. 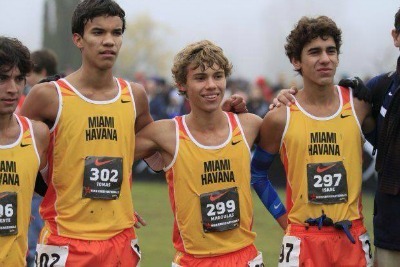 At Portland, like at Belen, we are running for something greater than ourselves: each other, God, tradition, etc. I want to leaving the University of a Portland knowing that it has aided me in becoming the best individual and runner that I can possibly be.